Just imagine it, you get completely new software installed on your computers and get training on the system. After the training, everything is clear – but what happens when you have to work with the software again 2 weeks later? Will you still remember everything? We put the emphasis on knowledgeable all-round care for our customers and have developed the “USF care package”, covering a broad spectrum of services, on this basis. With our “USF care package”, we guarantee our customers comprehensive support even after the commissioning of the system – around the world and at any time. The USF care package includes 3 free follow-up training sessions within the first 6 months. The follow-up training is always carried out by our customer services on the customer’s premises. We deliver every system with complete documentation and supplement our offer with an extensive consulting service. 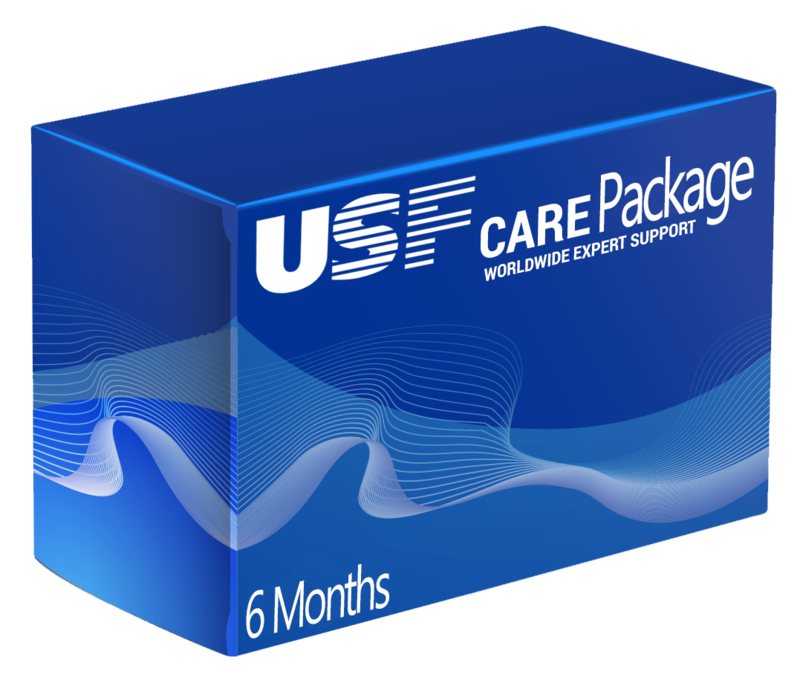 With the “USF care package”, our customers can be sure of targeted assistance from our experts – regardless of where in the world the company is based and when the help is required.